Will iOS 12 be improved in iPhone Privacy Protection? Will iOS 12 in WWDC 2018 be Improved in Privacy Protection? Every year between June 4 to June 8, Apple holds a worldwide developers conference in San Jose, California where they launch new operating systems and software applications for Apple products. Each year, a new operating system is introduced; last year it was 11, this year the new operating system is iOS 12. These Apple products such as phones, MacBook, wristwatches, etc. are upgraded with these operating systems and software applications that power their function. This year, the aim of Apple WWDC 2018 is to improve quality of the product rather than making innovations. This includes clearing of glitches and fixing of bugs that make product slow and uncomfortable to use. Part 1: Will iOS 12 be Improved in iPhone Privacy Protection? Part 2: What Should be Done to Protect iPhone Personal Privacy? Part 3: Useful iPhone Settings for Personal Privacy Protection. Part 1. Will iOS 12 be Improved in iPhone Privacy Protection? Another thing Apple is interested in is placing efforts on ensuring the adoption of an initiative called “Digital Health.” This Digital health is parental control features that are included in all over Apple products in order to reduce screen time as well as addiction to whatever device in use, hence, the need for strict protection protocol. WWDC 2018 hasn’t fully stated all the features are coming with the upgrade, but the rumor from Japan Bloomberg says the new software and service update could come with a Face identification in order to unlock devices; iOS privacy. Many devices have long adopted this privacy option but not Apple. There is every possibility that this rumor may be true, we only have to wait until Monday. Peradventure, the rumor is true with the upgrade coming with a face identification protocol; the process to set will be straightforward and easy. This face identification protocol only recognizes a registered user. This feature could have been added due to questions on how to protect privacy other than passwords and pin codes. In the previous operating systems, i.e., iOS 11/10/9, etc., the personal privacy option didn’t do much while Android users had the privilege for a face scan to unlock devices within a horizontal landscape. In simple terms, if rumors are confirmed to be true, then iOS 12 will be improved in iPhone privacy protection. Step 5: Unlock your device and try open by scanning your face with the face id. Part 2. What Should be Done to Protect Personal Privacy? The importance of setting personal privacy options is to avoid privacy leakage. Privacy leakage could be in the form of chats, texts, calls, videos, etc., which are stored in an iPhone. 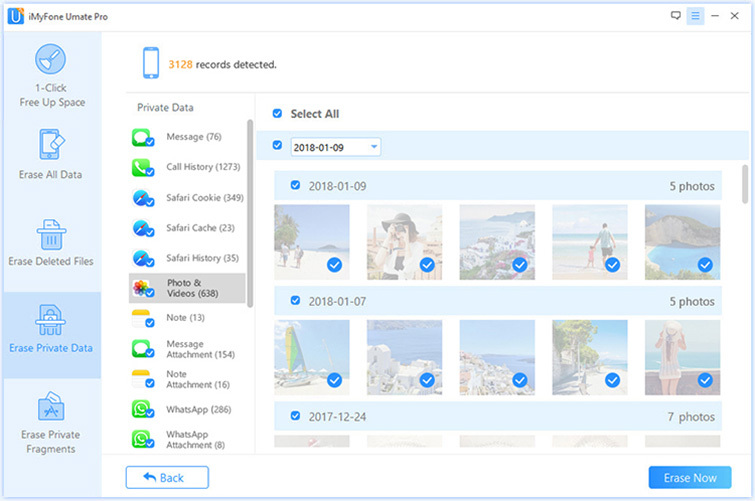 The data eraser iMyFone Umate Pro for Windows or iMyFone Umate Pro for Mac helps to secure and safeguard all sensitive details and contents on your iPhone by erasing them and making them 100% unrecoverable. All Data Erase: top-level security than using a restore factory setting to erase all data. Unrecoverable Erase: another security protocol to secure privacy by deleting some sensitive data and making them unrecoverable. 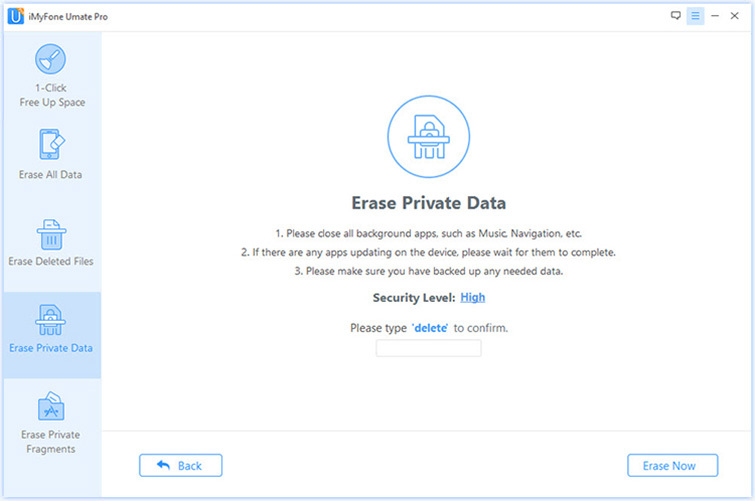 Private Data Erase: erase sensitive information like messages, calls, texts, videos etc. completely. Third Party Applications Erase: 100% wipe 3rd-party apps including WhatsApp, WeChat, Kik, Viber, and 10+ more. Step 3: It will list all your private data including photos, messages, call history, WhatsApp, etc. After you've selected private files which you want to erase, click the Erase Now button. Step 5: After you manually type "delete" into the box to confirm your action, click the Erase Now button to erase all your call history. After the program finished, your private data will be wiped out of your iPhone permanently! Part 3. Useful iPhone Settings for Personal Privacy Protection. Let’s begin with your lock screen passcode. 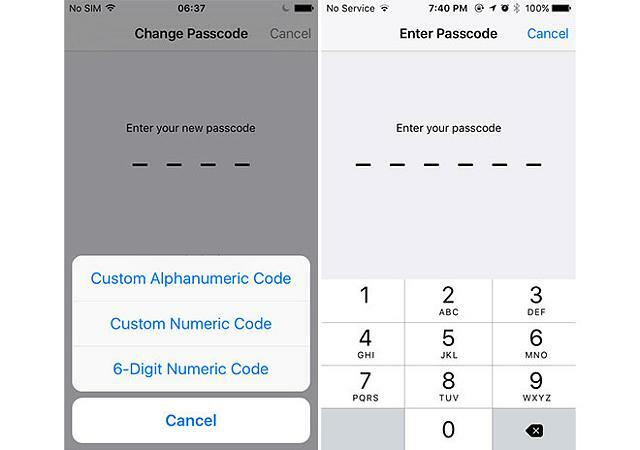 You should lock your device with a complex passcode longer than 4 digits. A custom one allows you to set the passcode longer than the usual 4 characters. 2. Avoid Showing Notifications on Lock Screen. You should not let your private or sensitive messages shown on the lock screen to avoid being seen by others. These notifications can be turned on or off for each app. 3. Enable “Find My iPhone” in Case of Theft. The feature of “Find My iPhone” is really good for your iPhone especially when your iPhone got stolen. This can help you protect your iPhone access by others. 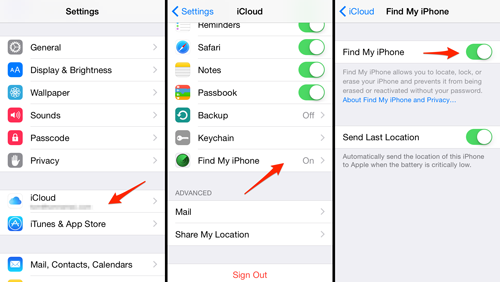 You should turn off the “Share My Location” on your iPhone to protect your private information and your devices ever get into the wrong hands. 5. 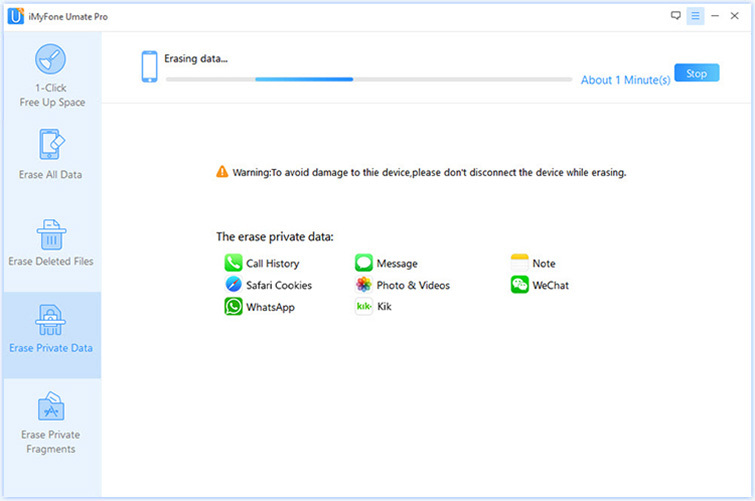 Frequent data erase with the use of iMyFone Umate Pro as privacy protection. 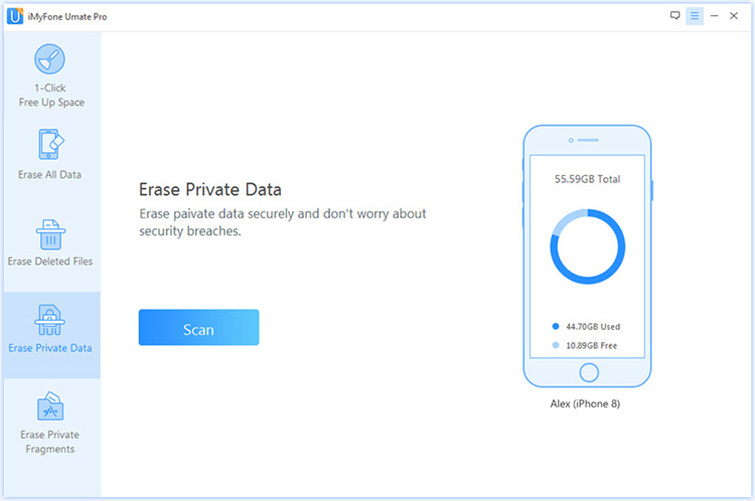 To protect your personal privacy in you iPhone, you should erase the sensitive data frequently with sofrware like iMyFone Umate Pro which can help you erase your data permanently. In conclusion, WWDC is coming, and the introduction of a new feature to protect privacy will be greatly accepted. 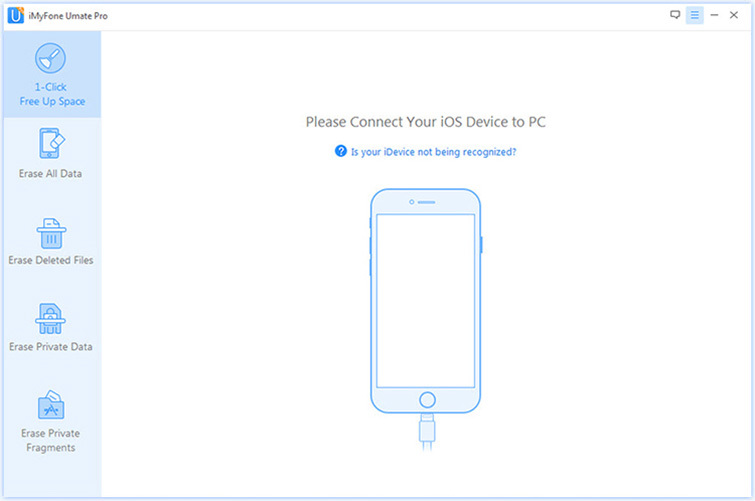 IMyFone Umate Pro has been working as a third-party application to protect privacy, and the combination of both privacy options will be a great plus to Apple product users especially iPhone to prevent privacy leakage.